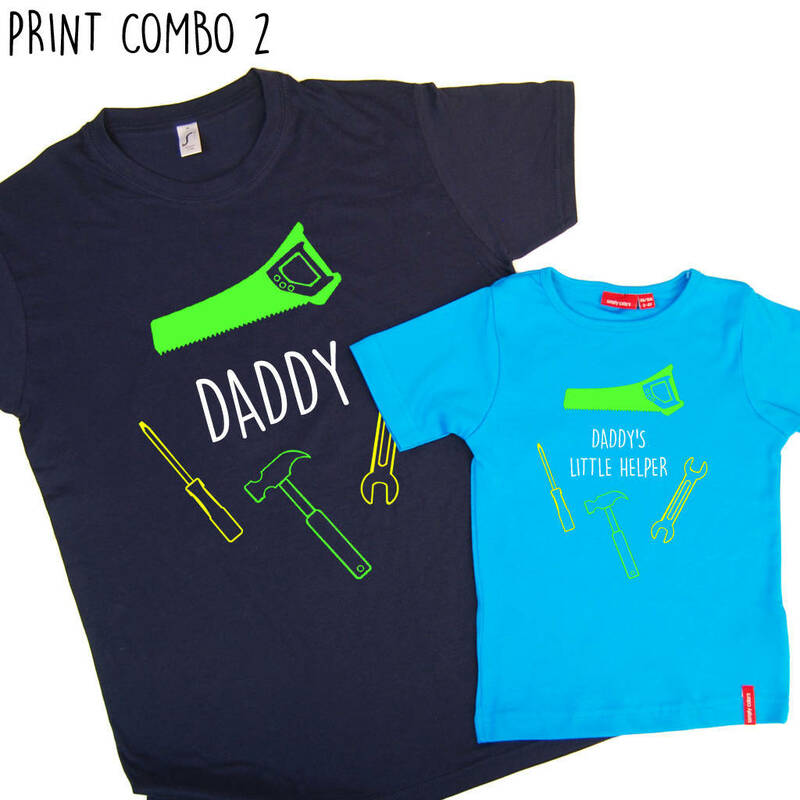 This Daddy's Little Helper T Shirt Set is the ideal gift for Daddy and his little helper. 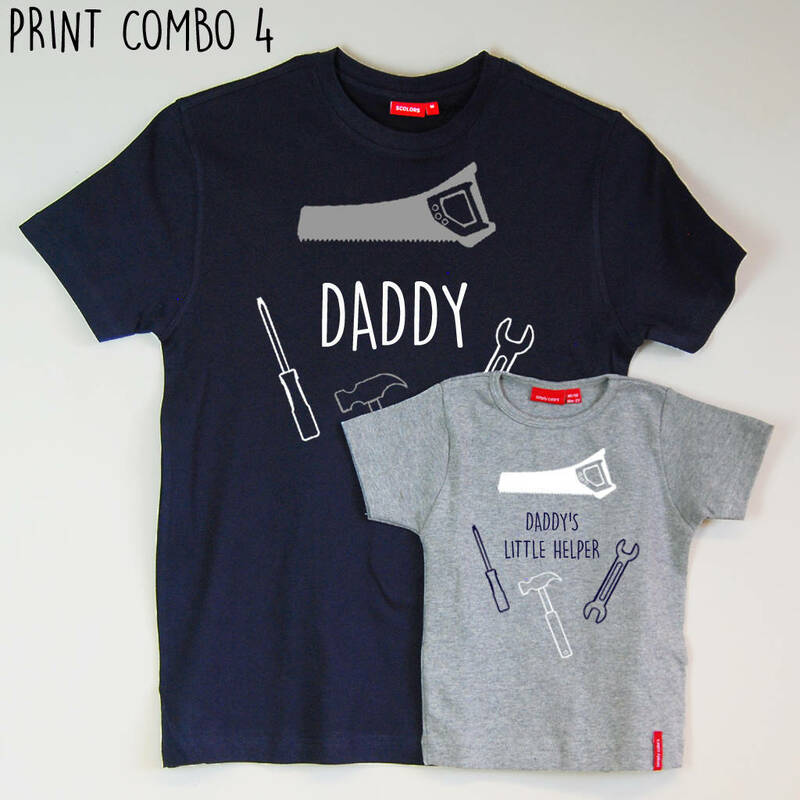 This father and child tshirt set is the perfect personalised gift for father's day! There are four fun colour combinations to choose from which can be seen in the images, if you would like a colour combination that we have not listed please contact us via ask the seller as we have many more colours available. 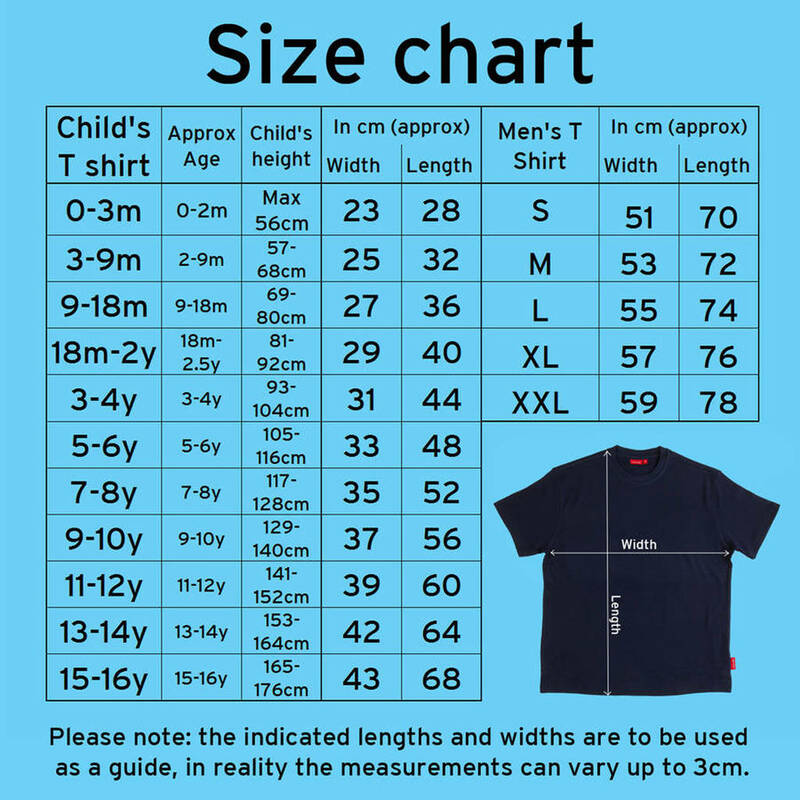 Choose a tshirt or babygrow for the child with the option to choose short or long sleeves, available for the child's tshirt/babygrow only, not the men's t shirt these are short sleeves. This set is available with the choice of a child's tshirt or babygrow. 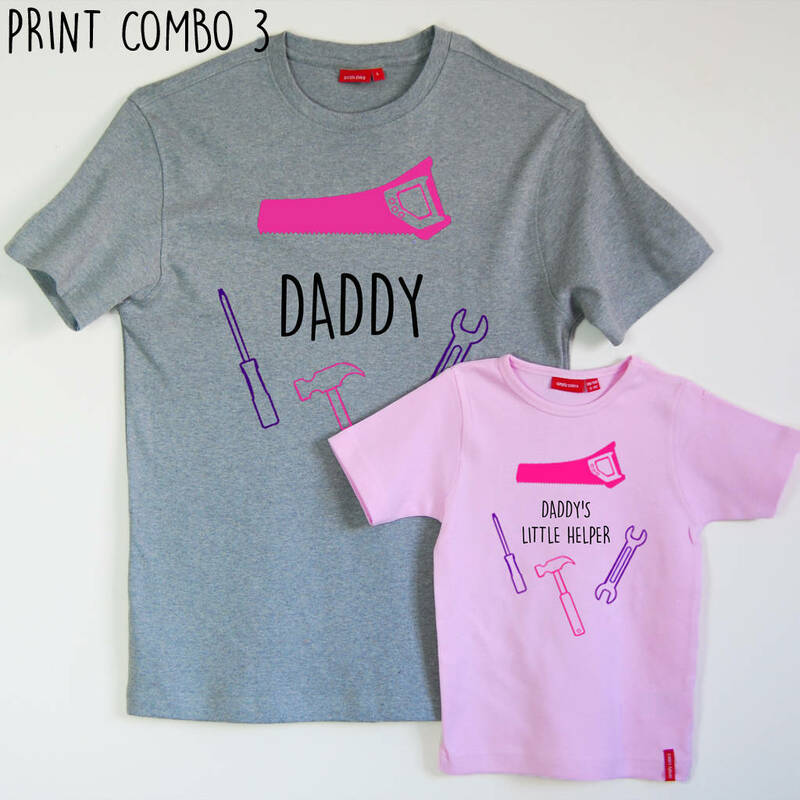 If you would like, you can request to add a 3rd or 4th tshirt/babygrow. Due to popular demand we have started stocking a second brand of men's t shirts so the colour of the child's and adult's t shirt may vary. Where possible we will use Simply Colors branded t shirts but this isn't always possible. 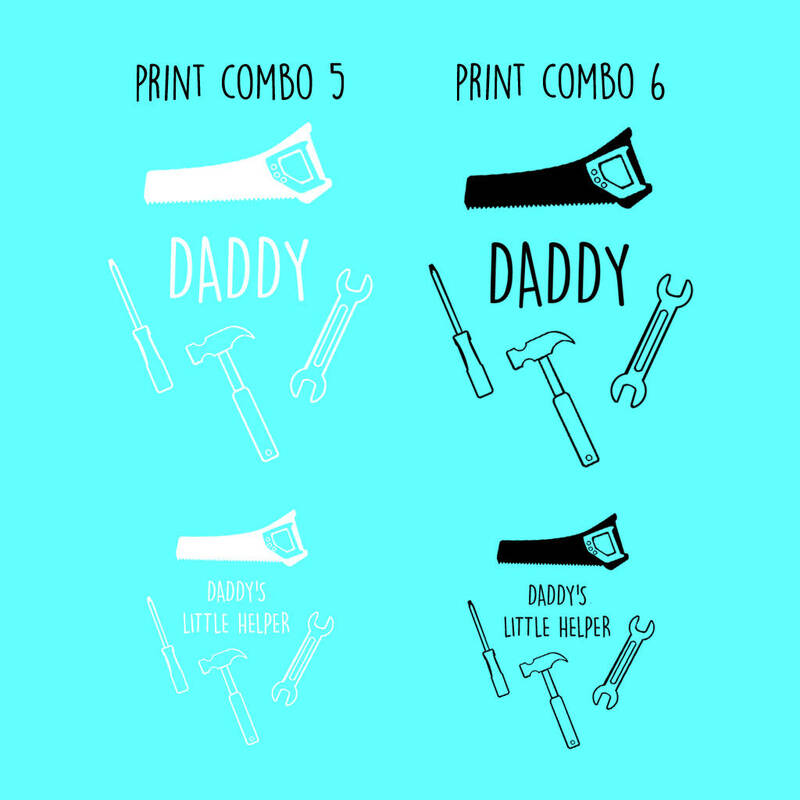 Even in Simply Colors t shirts the colours may vary slightly due to the t shirts being from different batches. 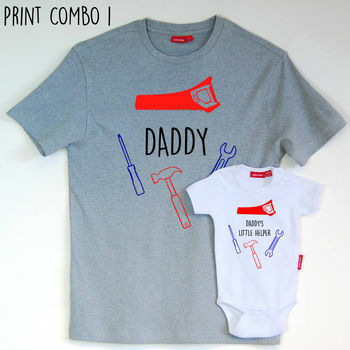 Both shirts/babygrows are made from 100% cotton. 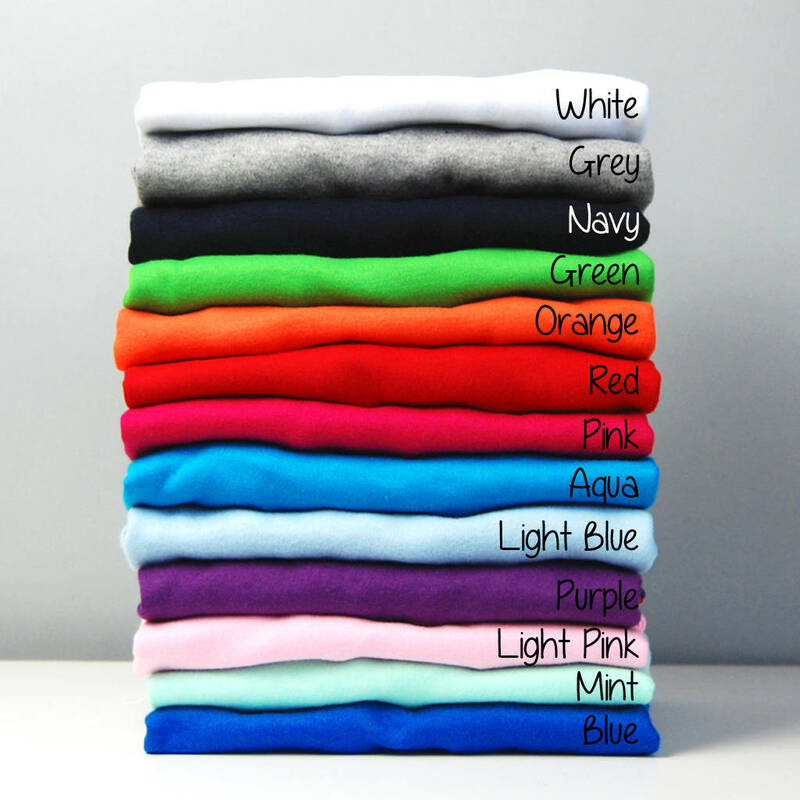 Simply Colors Branded T shirts 220grm and non Simply Colors Branded - Adult T shirts 200grm (grey 190grm). Care instructions: the t-shirts can be washed up to 40 degrees, we would recommend 30 degrees for at least the first wash and should not be tumble dryed as this may affect the quality of the print. Iron on reverse. The 0-3m bodysuits are recommended for up to 2m and for small babies. If the baby is over 8.5lbs we would recommend the 3-9m in the bodysuits. This doesn't apply to the t-shirts which are quite generous in their sizing.